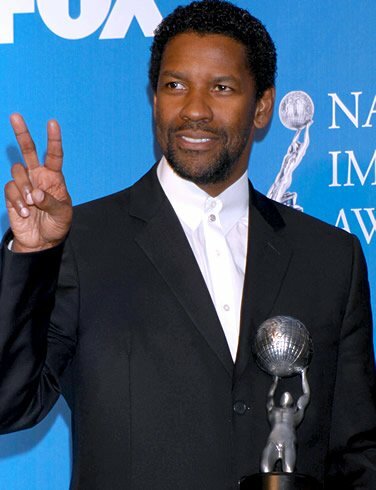 Denzel Hayes Washington, Jr. (born December 28, 1954) is an American actor, film director, and film producer. He has received much critical acclaim for his work in film since the 1990s, including for his portrayals of real-life figures such as Steve Biko, Malcolm X, Rubin "Hurricane" Carter, Melvin B. Tolson, Frank Lucas, and Herman Boone. Washington is a featured actor in the films produced by Jerry Bruckheimer and was a frequent collaborator of the late director Tony Scott.Washington has received two Golden Globe awards and a Tony Award, and two Academy Awards: Best Supporting Actor for Glory (1989) and Best Actor for Training Day (2001).